Ready to move inside? I've kept you out in the yard the past several posts, and with this heat that has hit Charleston, you're probably ready for some air conditioning! I realize you aren't really seeing anything new in these posts, but it is still neat to see the side-by-side shots of the way the house was when we bought it, verses it's (in my opinion) new & improved condition! When we first went to see the house when it was on the market, we were not interested in it at all. Some of you may know the story... we saw it, full of stuff. It was as if the homeowner had left to run a quick errand and never came home. 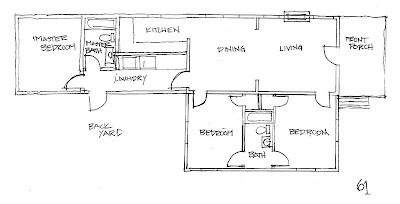 There were dirty dishes in the kitchen sink, the beds were unmade, and unopened mail on the dining room table. 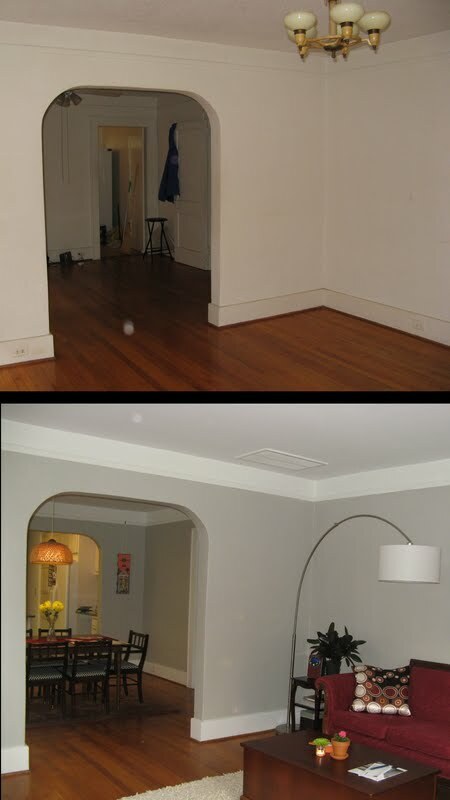 The unfortunate thing was that Julia had actually died in June of 2009, and some of the 'before' pictures you will see with furniture, clothes, etc were taken in May of 2010, almost a year later. Of course we didn't know any of this at the time, and we couldn't see past the clutter. We didn't want to take on a renovation, we just wanted a house that we could move into right away, and this one didn't fit the bill. 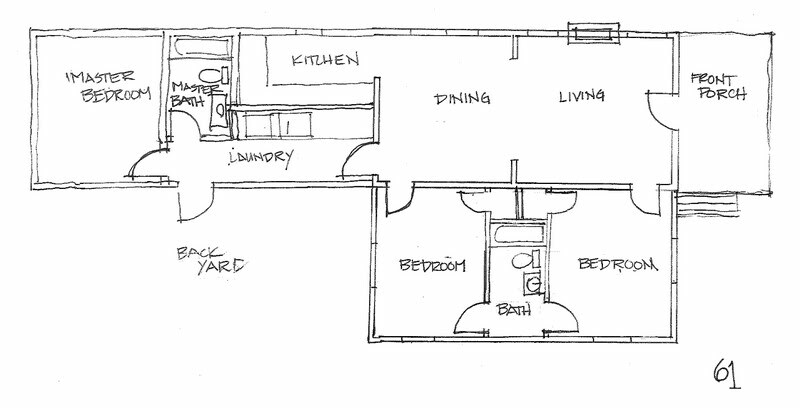 Therefore, what I'm basically trying to say, we got a good deal on a fixer-upper, and were able to do what WE wanted to do in terms of an addition & renovation! And now we sit on our front porch, and gaze across the street, and remember how thankful we are that Mike made us look at it one more time. So without further ado, welcome to the living room! 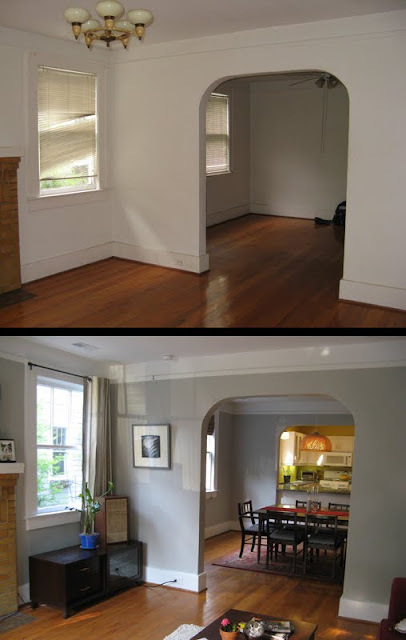 And of course, none of these photos show the furniture from before! You may have to wait until we get to the bedrooms. And while we are standing here in the living room, we can't help but notice what lies ahead. The dining room, next on our tour. 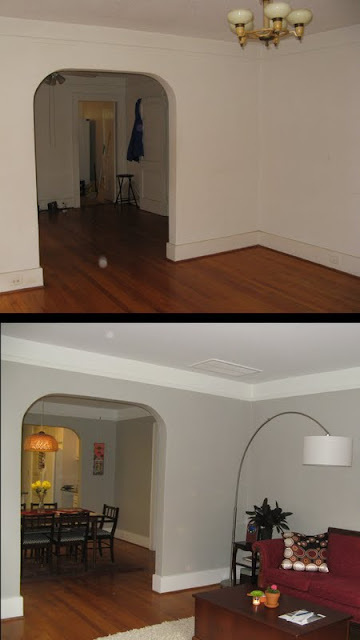 Not sure about that crazy orb in the last 'before' picture (notice how it elevated in the 'after' picture) scary... hmmm. And because I talked so much at the beginning of the post, I thought I'd give it a rest on the descriptions. Most of the changes are evident from the photos, but I will point out a few things. The main one being the vents you may see in some of the pictures... the house did not have central heat and air, so that was a huge plus as part of the upgrades. 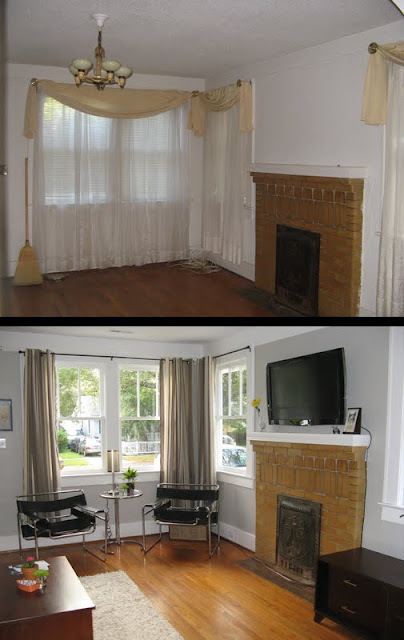 You also probably can't tell that there were originally 'popcorn' ceilings in the living and dining rooms, so we removed the ceilings and replaced with smooth gypsum board. There is also new electrical throughout, since the house had 'knob & tube' wiring previously. The windows were restored and the floors lightly sanded, although they were in great shape prior to construction. You may be wondering what happened to that uber-cool Art Deco chandelier? It was removed with the ceilings, but we still have it. We plan to restore it and reinstall, but like everything else it takes time, and it's not at the top of our priority list at the moment! It looks great! 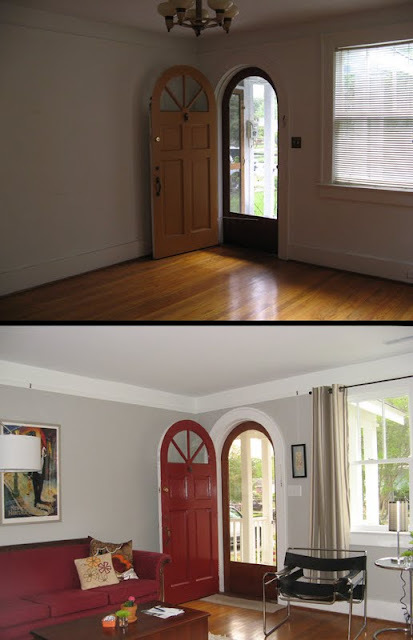 I love the arch in the door and then the square-arch off of the living room! So much character! Thanks Heather! The front door, archway, fireplace, and lots of other smaller details were all things that we really loved about the house. It's the little things!